Hiking route #1: You should start (1) from reaching the Boorkhan Stone from your guesthouse. Then walk to the right side of the stone onto the long beach. Walk along the bean to its very end. Turn right and go uphill to the forest. Keep walking trough the forest till you reach the main unpaved road. Turn right and walk all the way back to the village. Check out the “Khoroshyi” supermarket for drinks and ice-cream. The hike length is around 7 km. Hiking route #2: To start the hike, you should find the corner of Sovietskaya and Lesnaya streets, walk along the Sovietskaya off the lake – towards the forest. Keep walking straight, leave the village behind, keep walking on the dirt road for like 30 min, occasionally, take a right turn road or walking path, keep walking till you reach the open green field, walk up to the tallest hill to observe the lake. After that, stroll down to the main road (which you will clearly see) and return back to the village. 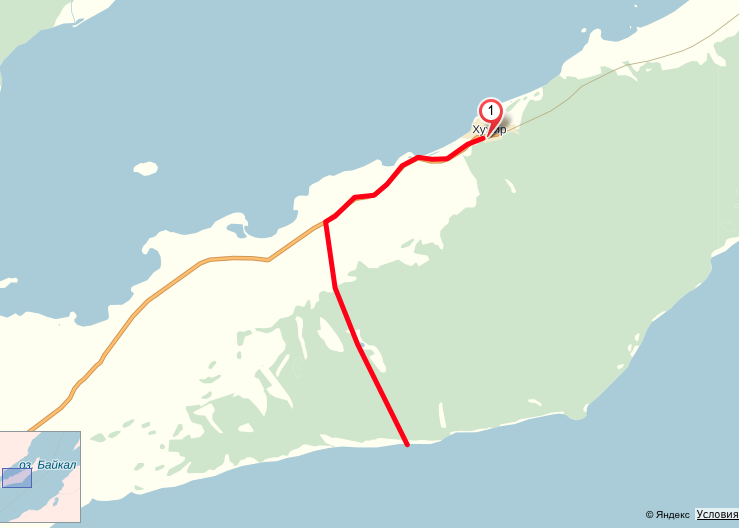 The hike length is around 8 km. Olkhon island is – actuality – a cycling paradise: very low, sometimes non-existant traffic, possibility to cycle and see in the lake view (in the Southern direction), possibility to cross the island and reach the BIG SEA (main part of the lake) within a day, low chances of bad weather. You can rent bicycles in the number of places dotted along the main street called Baikal, or at Nikita’s place. Nikita’s place might give you the cycling route map as well. 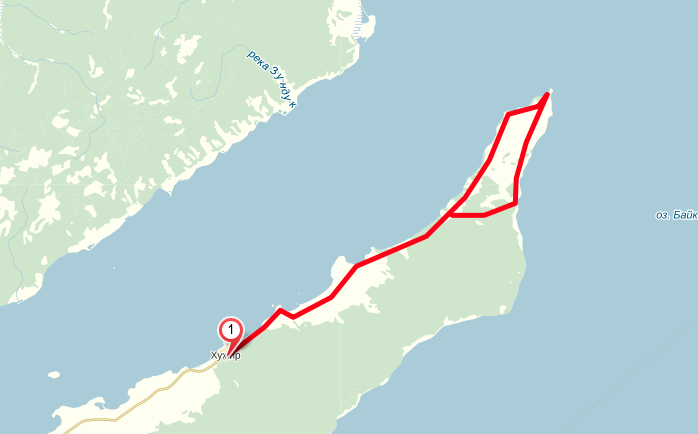 This is the 1 day cycling route 30-40 km long, for OK cyclists, lunch box and min 2L of water required. Start cycling from Khuzir on the main road towards the ferry.Leave behind the 1st small village on your right hand. Keep cycling. The you will see the village on your left side form the uphill. The road will start going down. Eventually, take a dirt road to the left few ams before the village, leading you to the forest. After a steep slope, it will lead you to the lake where you can rest. Continue on the dirt road to till you reach the Big Sea. This place is known as a seal watching spot. Take rest there, refill your water bottle (from the lake) and cycle back to Khuzir. The 4WD excursion (the locals call it: Khoboi) to the Northern tip of the island is a MUST DO activity! Don’t miss it (unless it is raining or white out) – otherwise you won’t see the most beautiful set of natural beauty. It is a day trip, from 10 am till 5 pm, picnic lunch is included. Bookings in advance are not necessary.